inflatable boat with motor are quickly becoming the preferred choice for many marine professionals. Why? They’re incredibly versatile and offer a surprising number of advantages over traditional hard-hulls. Not only are they cost-effective, but they also offer performance and reliability that you can’t find in other types of vessels. At first glance, inflatable boats seem like they would be less sturdy than hard hull fiberglass boats. But the buoyancy tubes on the outside of the boat make them incredibly stable in all sea conditions. They are also almost impossible to flip over due to the fact that they ride flat on the water’s surface and have a very low center of gravity. Additionally, the separation of one buoyancy tube from the other will allow your boat to keep afloat even in the unlikely situation where one of the tubes is pierced. And even in that case, the tubes are very easy to repair on the go, making inflatable boats with motor an incredibly safe option for all your boating needs. Whether you want to fish in a canal or ocean, speed around the lake for fun, or even kayak through whitewater, there is an affordable inflatable boat for you. And in fact, most inflatable boats can be used for multiple on-the-water functions. A motor can be attached for speed and convenience, or taken off to allow the boat to be paddled or rowed. In some cases, you can even attach a sail for a relaxing day out on the bay. 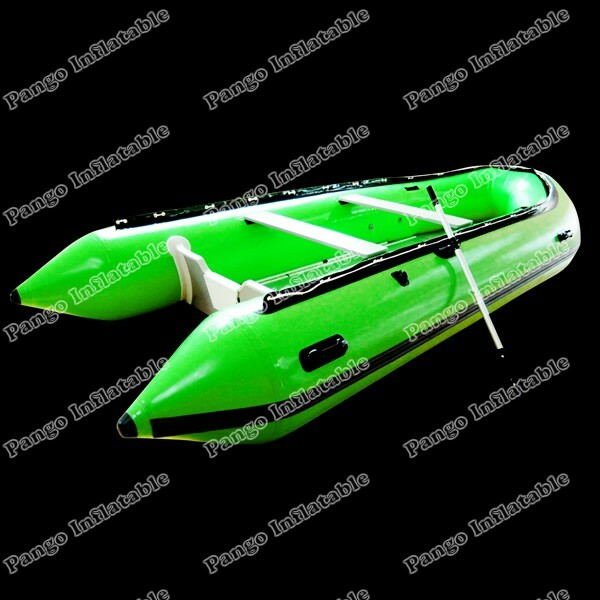 One great thing about the design of inflatable boat with motor is that even though they are light as a feather, their inflatable nature still allows them to handle heavy loads. That means they can hold multiple people, all your fishing gear or food, and whatever else you need for a day of fun in the sun. Just load everything onto your inflatable boat in a balanced way, hop on, and enjoy your time out on the "inflatable boat with motor!"